Our customer support team is here for you 100%! The circular 1.2–inch Super AMOLED display and stainless steel body are comfortable to wear. The Gear S2 is simple to navigate, too. Use the unique rotating bezel to scroll through an e–mail, zoom into a map or skip a song. The home and back buttons also provide an added convenience. 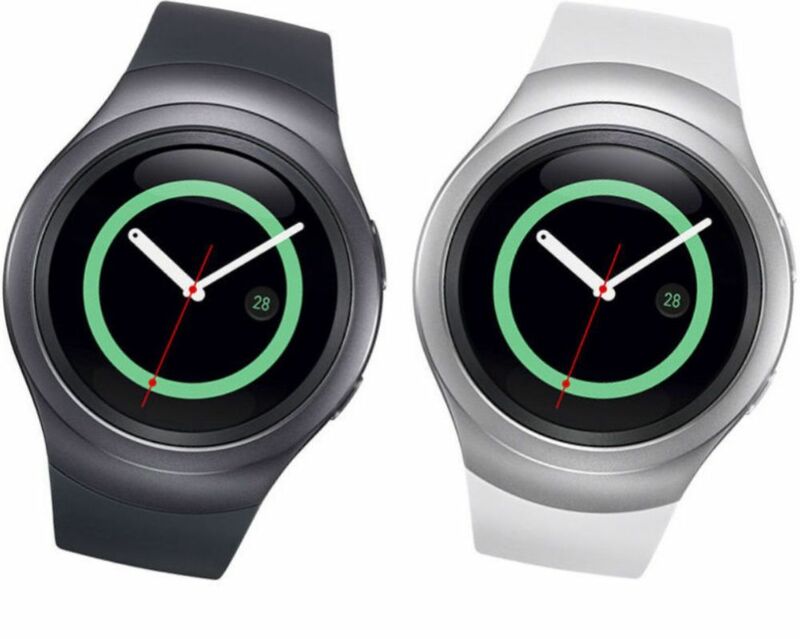 The Samsung Gear S2 is compatible with many Android devices*, allowing you flexibility in the way you stay in touch. Avoid separation anxiety when you and your phone are apart. The Gear S2 has 3G connectivity‡ so you can make calls, find directions, and check and respond to text messages right from your wrist. Compatible Devices: Compatible with select devices using Android 4.4 and later with at least 1.5GB RAM. Supported devices may vary by carrier and device. Some features may not be available. For best results, connect with compatible Samsung Galaxy devices. If you receive an item and and it doesn’t work properly or you don’t like it because of any reason at all, we have a 100% refund/return policy. We will ship you a new item or refund your money for the full sale amount.